Radical change often comes about in trying to solve a simple problem. Hoka One One's original goal was to improve endurance race times by designing a shoe to go downhill faster. 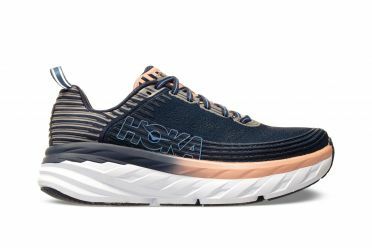 In doing so, Hoka inadvertently reinvented the running shoe. The new shoes improved the experience of going uphill too. And down again. And up again. It turns out that redesigning a shoe that helps an athlete tackle 100 miles in challenging conditions can help all runners perform. Hoka had a hand in several snow sport and cycling innovations - including the parabolic ski - and everyday Hoka asked the question, "How do we go faster?" When Hoka One One imposed a form-follows-function discipline to designing a trail running shoe, Hoka asked the same question. Hoka answered it with a shoe that was met with ridicule by running shoe establishments, but embraced by runners. Those runners started winning races, and running shoe buyers started paying attention. Hoka's design ethos owes as much to surfing, skiing and cycling as running, and the patented elements Hoka incorporated into the original shoe - aka the Hoka One One difference - influence every shoe Hoka build. Nimble, responsive and dynamic, the Hoka One One Tracer 2 running shoes grey women is our lightest road shoe. Good luck finding one with this light with this much cushion anywhere else. In particular, the PRO2Lite dual density midsolem offering superior cushioning in the heel and responsiveness in the forefoot, the sock-like feel, and its unique balance of protection and performance. Add to that a new ultra lightweight upper which features an engineered mesh with a more adaptive forefoot, and TPU overlay for those looking for a performance edge when the going gets fast. The upper is finished with a repeated line pattern inspired by the Doppler effect. 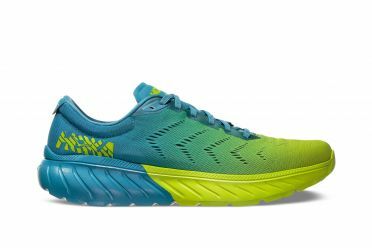 Nimble, responsive and dynamic, the Hoka One One Tracer 2 running shoes blue/green men is our lightest road shoe. Good luck finding one with this light with this much cushion anywhere else. In particular, the PRO2Lite dual density midsolem offering superior cushioning in the heel and responsiveness in the forefoot, the sock-like feel, and its unique balance of protection and performance. Add to that a new ultra lightweight upper which features an engineered mesh with a more adaptive forefoot, and TPU overlay for those looking for a performance edge when the going gets fast. The upper is finished with a repeated line pattern inspired by the Doppler effect. 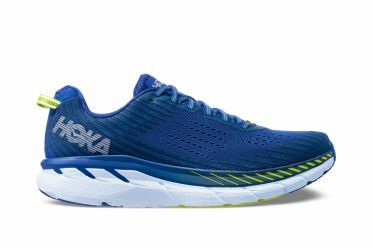 The first Mach boasted the HOKA's trio of benefits: maximum cushion and super responsiveness in a surprisingly lightweight package. 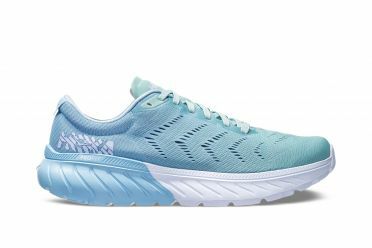 The Hoka One One Mach 2 running shoes light blue women goes a step further with its PROFLY midsole. That’s a PROFLY midsole made with rubberized foam, which makes for an even lighter and more resilient ride. And it uses an engineered, breathable mesh upper atop the responsive, stable package. This shoe is as fast as lightning and ready to race. The first Mach boasted the HOKA's trio of benefits: maximum cushion and super responsiveness in a surprisingly lightweight package. The Hoka One One Mach 2 running shoes blue/pink women goes a step further with its PROFLY midsole. That’s a PROFLY midsole made with rubberized foam, which makes for an even lighter and more resilient ride. And it uses an engineered, breathable mesh upper atop the responsive, stable package. This shoe is as fast as lightning and ready to race. The first Mach boasted the HOKA's trio of benefits: maximum cushion and super responsiveness in a surprisingly lightweight package. 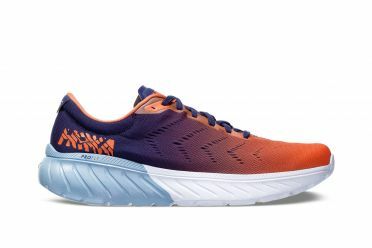 The Hoka One One Mach 2 running shoes blue/orange men goes a step further with its PROFLY midsole. That’s a PROFLY midsole made with rubberized foam, which makes for an even lighter and more resilient ride. And it uses an engineered, breathable mesh upper atop the responsive, stable package. This shoe is as fast as lightning and ready to race. 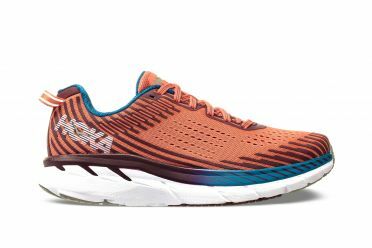 The first Mach boasted the HOKA's trio of benefits: maximum cushion and super responsiveness in a surprisingly lightweight package. 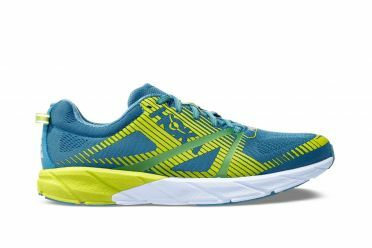 The Hoka One One Mach 2 running shoes blue/yellow men goes a step further with its PROFLY midsole. That’s a PROFLY midsole made with rubberized foam, which makes for an even lighter and more resilient ride. And it uses an engineered, breathable mesh upper atop the responsive, stable package. This shoe is as fast as lightning and ready to race. 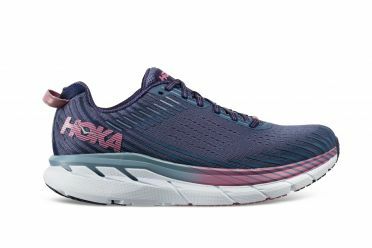 True to its award-winning heritage, the Hoka One One Clifton 5 running shoes purple/blue women is light, cushy, and very, very fast. Central to its design is the famed Hoka midsole geometry and a trusted foam package to ensure consistent cushioning through the life of the shoe. Combined with the forgiving and adaptive forefoot, we’re talking a smooth, smooth ride. And to top it all, the 5 has a clean, engineered mesh upper to optimize breathability and comfort. True to its award-winning heritage, the Hoka One One Clifton 5 running shoes orange women is light, cushy, and very, very fast. Central to its design is the famed Hoka midsole geometry and a trusted foam package to ensure consistent cushioning through the life of the shoe. Combined with the forgiving and adaptive forefoot, we’re talking a smooth, smooth ride. And to top it all, the 5 has a clean, engineered mesh upper to optimize breathability and comfort. 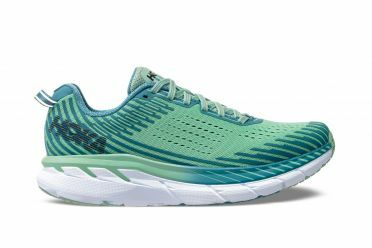 True to its award-winning heritage, the Hoka One One Clifton 5 running shoes green women is light, cushy, and very, very fast. Central to its design is the famed Hoka midsole geometry and a trusted foam package to ensure consistent cushioning through the life of the shoe. Combined with the forgiving and adaptive forefoot, we’re talking a smooth, smooth ride. And to top it all, the 5 has a clean, engineered mesh upper to optimize breathability and comfort. 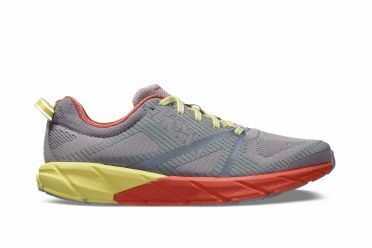 True to its award-winning heritage, the Hoka One One Clifton 5 running shoes grey women is light, cushy, and very, very fast. Central to its design is the famed Hoka midsole geometry and a trusted foam package to ensure consistent cushioning through the life of the shoe. Combined with the forgiving and adaptive forefoot, we’re talking a smooth, smooth ride. And to top it all, the 5 has a clean, engineered mesh upper to optimize breathability and comfort. 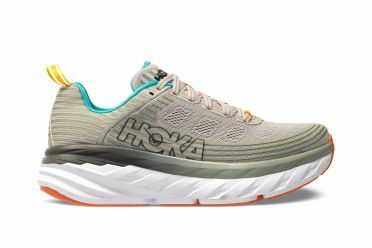 True to its award-winning heritage, the Hoka One One Clifton 5 wide running shoes grey women is light, cushy, and very, very fast. Central to its design is the famed Hoka midsole geometry and a trusted foam package to ensure consistent cushioning through the life of the shoe. Combined with the forgiving and adaptive forefoot, we’re talking a smooth, smooth ride. And to top it all, the 5 has a clean, engineered mesh upper to optimize breathability and comfort. This version of the Bondi 6 offers a wide fit to give more comfort to wider feet. The game-changing Hoka One One Bondi 6 running shoes purple/blue women is the most cushioned shoe in Hoka One One's road-shoe lineup. The Bondi 6 offers a smooth, balanced ride delivered by the full- EVA midsole, the comfortable and breathable upper, and our Meta-Rocker technology. This delivers a consistent ride for all distances. The Bondi 6 will take you far and wide in comfort. 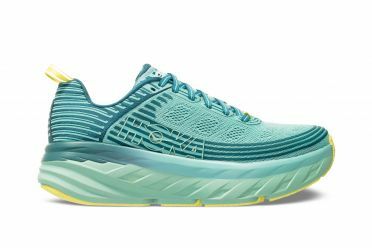 The game-changing Hoka One One Bondi 6 running shoes green women is the most cushioned shoe in Hoka One One's road-shoe lineup. The Bondi 6 offers a smooth, balanced ride delivered by the full- EVA midsole, the comfortable and breathable upper, and our Meta-Rocker technology. This delivers a consistent ride for all distances. The Bondi 6 will take you far and wide in comfort. 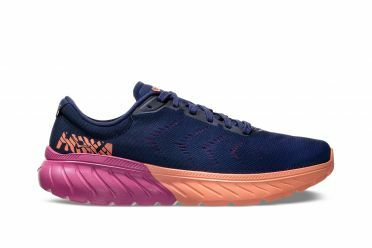 The game-changing Hoka One One Bondi 6 running shoes indigo/pink women is the most cushioned shoe in Hoka One One's road-shoe lineup. The Bondi 6 offers a smooth, balanced ride delivered by the full- EVA midsole, the comfortable and breathable upper, and our Meta-Rocker technology. This delivers a consistent ride for all distances. The Bondi 6 will take you far and wide in comfort. The game-changing Hoka One One Bondi 6 running shoes grey women is the most cushioned shoe in Hoka One One's road-shoe lineup. The Bondi 6 offers a smooth, balanced ride delivered by the full- EVA midsole, the comfortable and breathable upper, and our Meta-Rocker technology. This delivers a consistent ride for all distances. The Bondi 6 will take you far and wide in comfort. True to its award-winning heritage, the Hoka One One Clifton 5 running shoes orange/green men is light, cushy, and very, very fast. Central to its design is the famed Hoka midsole geometry and a trusted foam package to ensure consistent cushioning through the life of the shoe. Combined with the forgiving and adaptive forefoot, we’re talking a smooth, smooth ride. And to top it all, the 5 has a clean, engineered mesh upper to optimize breathability and comfort. Go in comfort and speed. 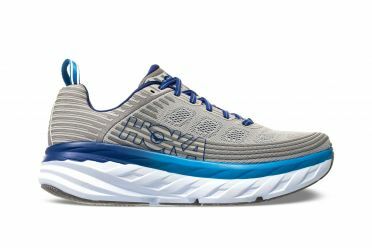 True to its award-winning heritage, the Hoka One One Clifton 5 running shoes blue/indigo men is light, cushy, and very, very fast. Central to its design is the famed Hoka midsole geometry and a trusted foam package to ensure consistent cushioning through the life of the shoe. Combined with the forgiving and adaptive forefoot, we’re talking a smooth, smooth ride. And to top it all, the 5 has a clean, engineered mesh upper to optimize breathability and comfort. Go in comfort and speed. The game-changing Hoka One One Bondi 6 wide running shoes blue/grey men is the most cushioned shoe in Hoka One One's road-shoe lineup. The Bondi 6 offers a smooth, balanced ride delivered by the full- EVA midsole, the comfortable and breathable upper, and our Meta-Rocker technology. This delivers a consistent ride for all distances. The Bondi 6 will take you far and wide in comfort. This version of the Bondi 6 offers a wide fit to give more comfort to wider feet. 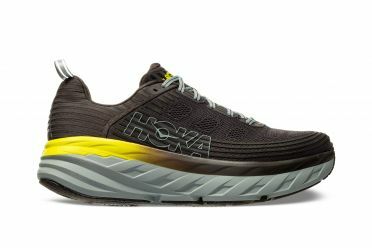 The game-changing Hoka One One Bondi 6 running shoes black/yellow men is the most cushioned shoe in Hoka One One's road-shoe lineup. The Bondi 6 offers a smooth, balanced ride delivered by the full- EVA midsole, the comfortable and breathable upper, and our Meta-Rocker technology. This delivers a consistent ride for all distances. The Bondi 6 will take you far and wide in comfort. The game-changing Hoka One One Bondi 6 running shoes blue/grey men is the most cushioned shoe in Hoka One One's road-shoe lineup. The Bondi 6 offers a smooth, balanced ride delivered by the full- EVA midsole, the comfortable and breathable upper, and our Meta-Rocker technology. This delivers a consistent ride for all distances. The Bondi 6 will take you far and wide in comfort.